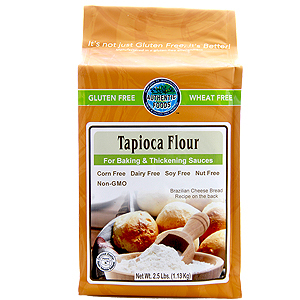 The Authentic Foods Tapioca Flour is Non-GMO. It is made from the cassava root and is commonly known as Tapioca Starch used primarily to thicken sauces or add chewiness and a lighter texture to baked goods. Add the oil, Authentic Foods Xanthan Gum, and milk into a pan and bring to a boil. 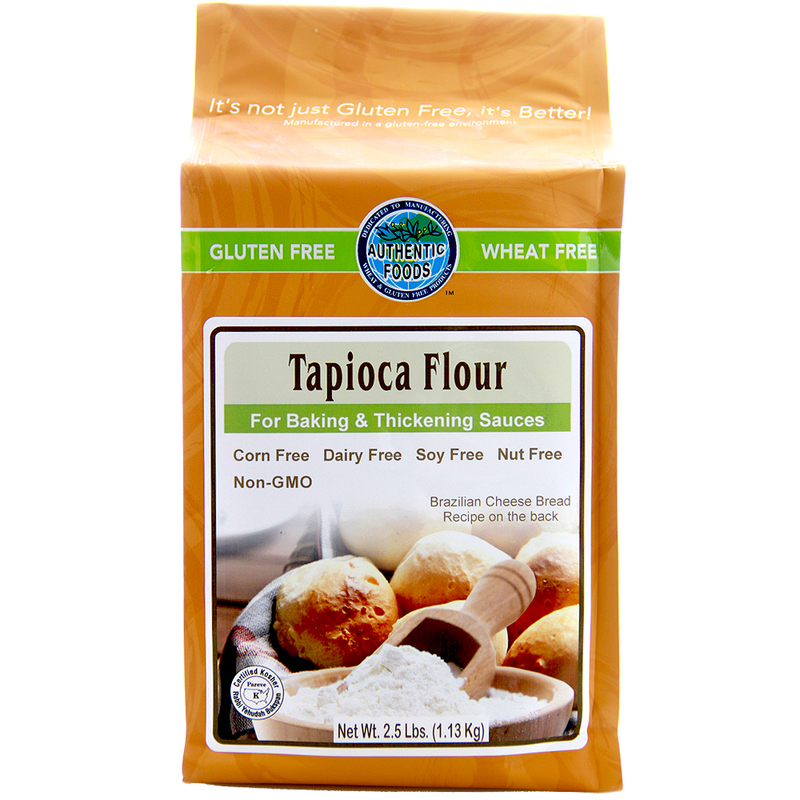 Add the Authentic Foods Tapioca Flour to a bowl. While mixing constantly, slowly add the hot liquid to the flour. Then slowly mix in the beaten eggs and parmesan cheese. Let the mixture cool for 10 minutes or more. Place a small amount of oil on the palm of your hands and form 2 inch size balls. Place them on a lightly oiled cookie sheet pan. Place the sheet pan in the oven for approximately 20 minutes or until the tops are lightly brown.